Conterra's intubation kit (supplies not included) will allow access to all your ALS airway supplies with just one operation. It will hold a variety of ET tubes in "file folder style" for instant access. There are several pockets for scope handles, masks, gloves, lubricant etc. There is also a zippered compartment for extra batteries, bulbs, etc. 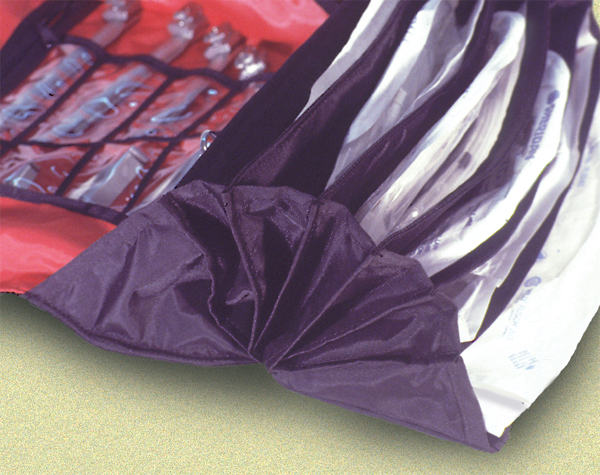 The Conterra intubation kit also has elasticized slots for up to eight blades and forceps. The bag is built entirely out of CORDURA® with a rip and stick closure.